When I was in high school, my mom knew how important it was to impress my then current boyfriend when he came over. She also knew the easiest way to impress was with a homecooked meal. (Without saying it, she showed me that a way to a man’s heart is through his stomach!) 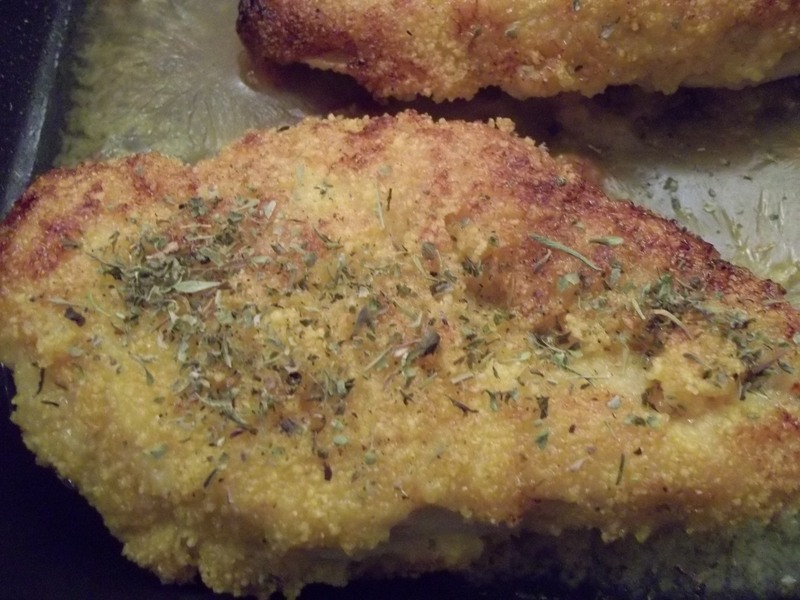 So, she made this simple-yet-delicious chicken recipe that became fondly known in my house as “Boyfriend Chicken.” Well, now she makes it gluten free! 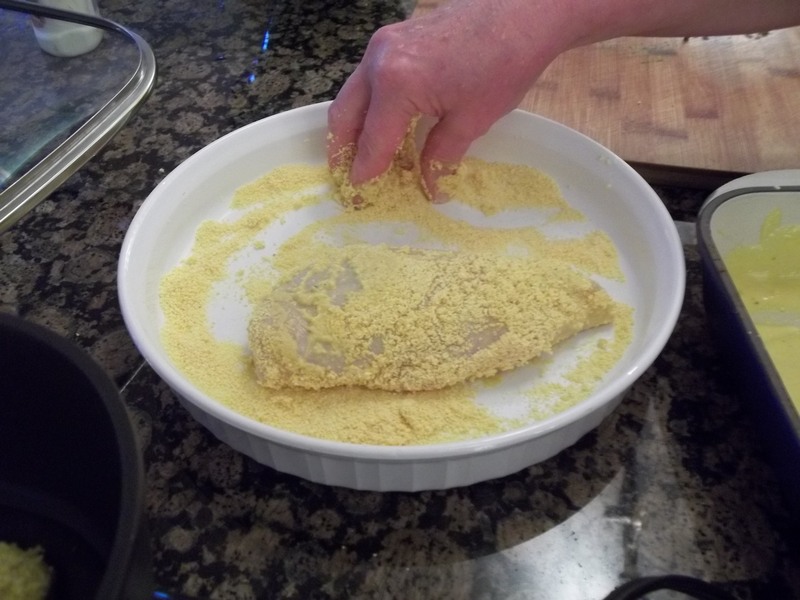 Cover each marinated chicken breast in corn flake crumbs, so each has a substantial coating on it. In a skillet, pour enough olive oil to coat the bottom of the pan. Heat the oil for a few minutes to get it hot. 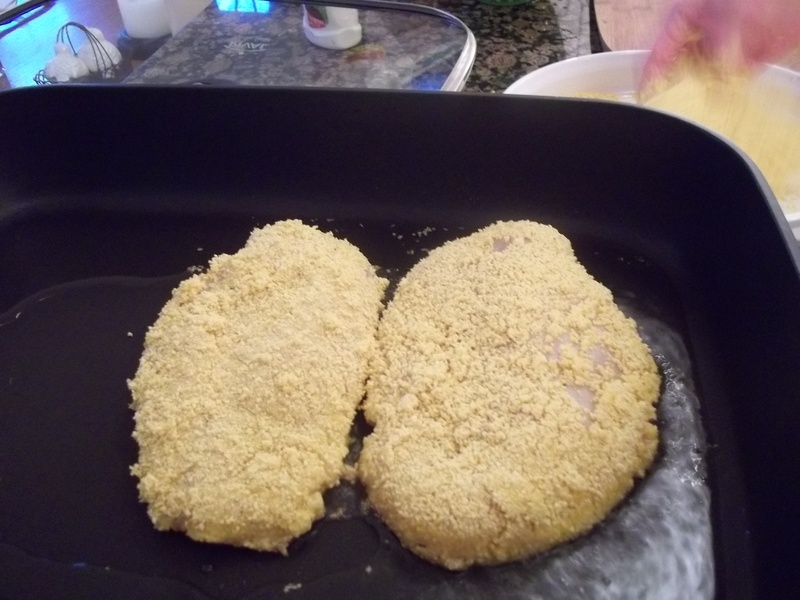 Carefully place each coated chicken breast in the hot, oiled pan. 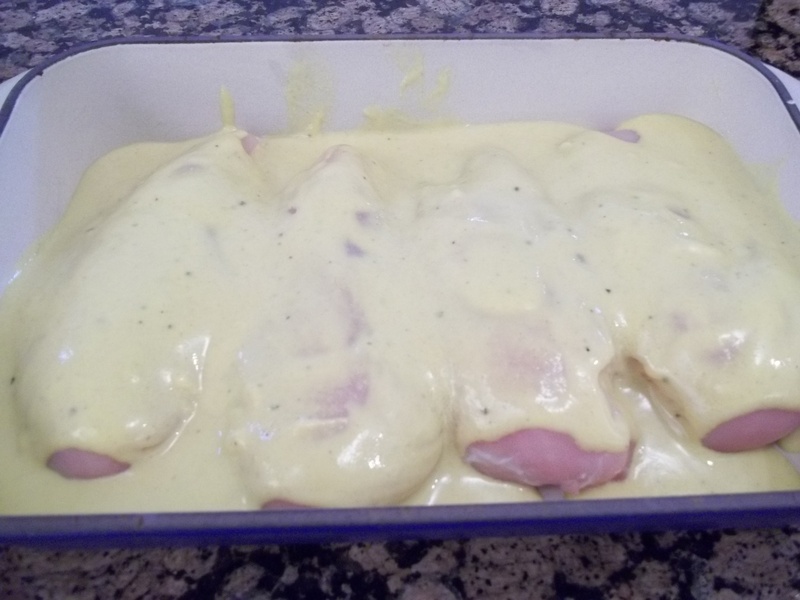 Cover and let simmer for about 10-12 minutes per side, until chicken is cooked through. Serve with a shake of your favorite herbs on top (oregano, parsley, or dill) and a squeeze of lemon juice. Happy Allergy Free Eating, boys! I would use a dry white wine… Sauvingnon Blanc or Pinot Grigio probably.